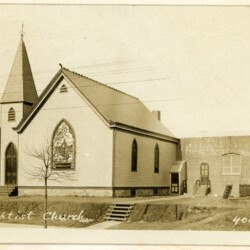 Photos of the main church building as it has changed throughout the history of the church. 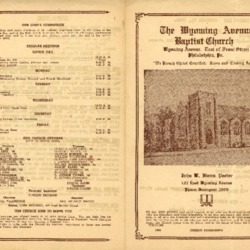 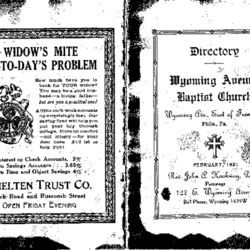 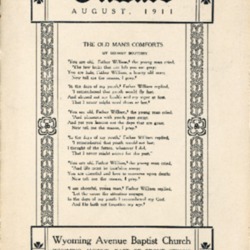 Monthly journal (newsletter) of the Wyoming Ave. Baptist Church. 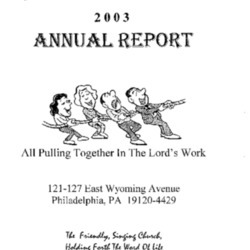 Update newsletters for the supporters of Rev. 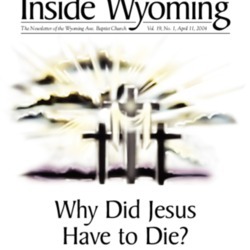 Luis and Elsie Centeno's ministry at Wyoming through American Missionary Fellowship. 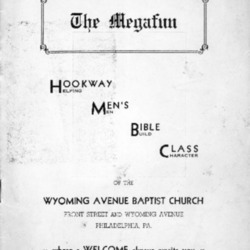 The Megafun was the newsletter of the Hookway Men's Bible Class.